The Grace Prep tennis squad sent two pairs of girls’ doubles teams, and a boys’ doubles team to the TAPPS 4A State Tournament held Monday and Tuesday at the Waco Regional Tennis Center. Seniors Claire Bullington and Kay Lee Sedwick made it to the championship round before falling to Apostalo and Yellitz from Austin Vertias. Their second place finish earned them Second Team All-State honors. 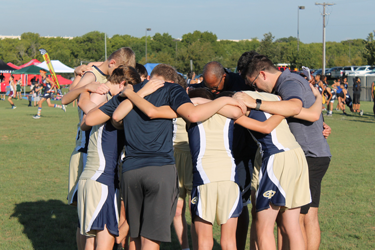 Junior Drew Moore and freshman Luke Moore worked their way into the semifinal round of the boys’ bracket where they were defeated by Knoll and Marsh of Waco Vanguard. The brothers took home All-State Honorable Mention accolades. 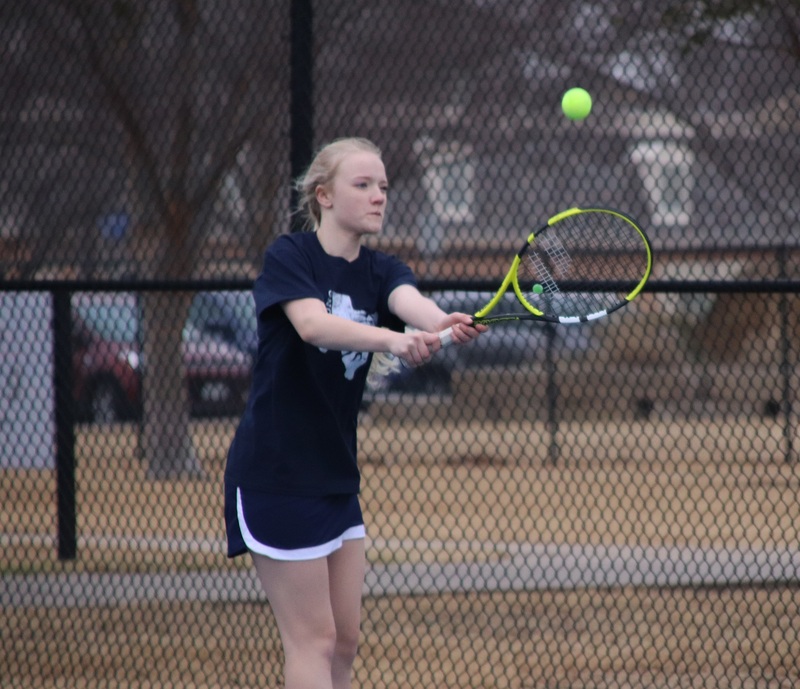 Sophomore Sara Gunn and freshman Caty Thompson made their first state tournament appearance, but fell to Menendez and Garcia of San Marcos Academy. Congratulations on a strong season! 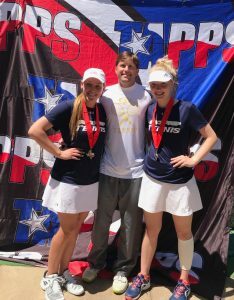 Kay Lee Sedwick, Coach Dvoracek, and Claire Bullington after the state championship match. 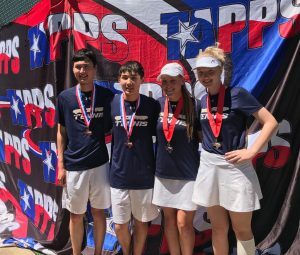 Drew Moore, Luke Moore, Kay Lee Sedwick and Claire Bullington all earned all-state honors.